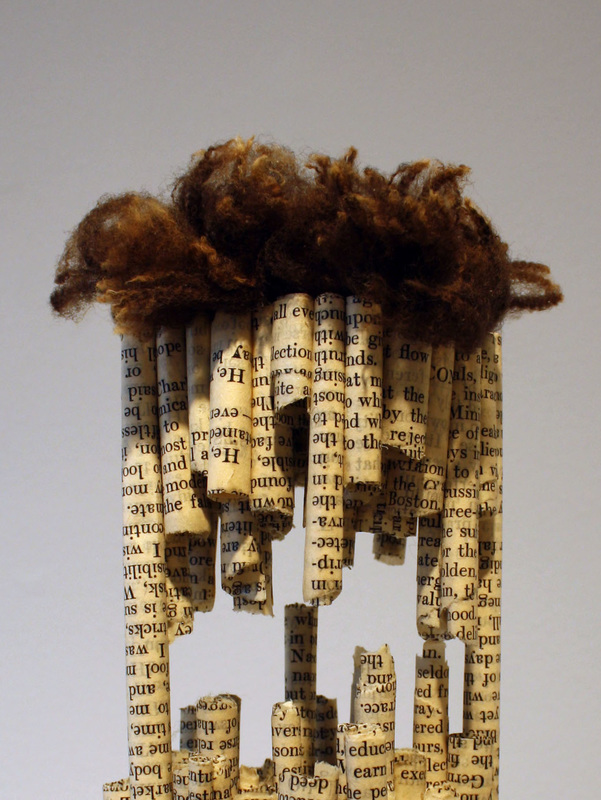 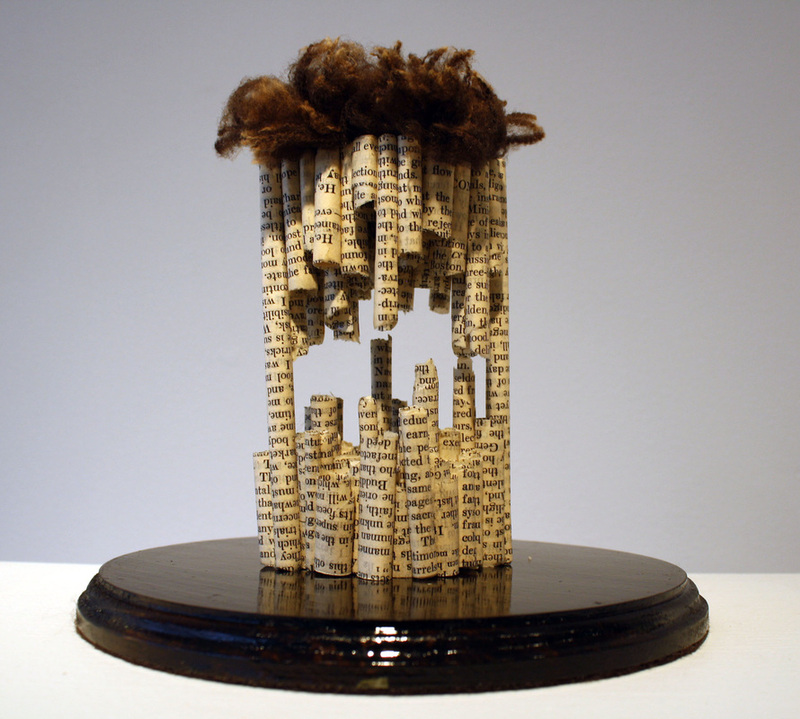 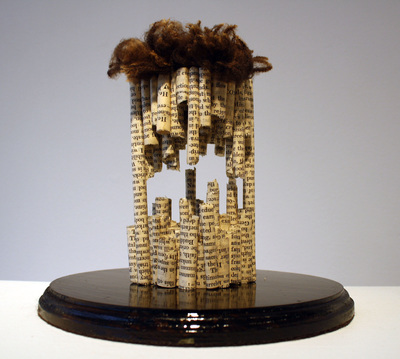 Book pieces, wheatpaste, beeswax, merino wool. 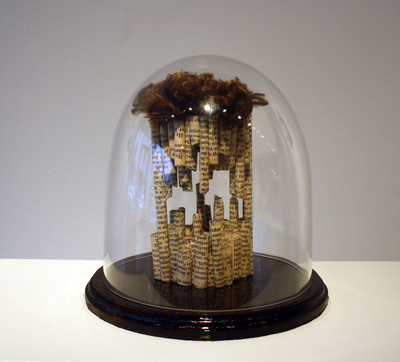 Displayed in a custom glass cloche and on a custom wood-stained base. 10" x 9" x 9"